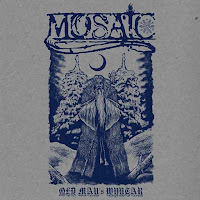 Make no mistake about it, Mosaic can come across as mighty pompous due to the manly ravings and barks that boomerang around the middle and upper atmospheres of the album, with the traditional black metal rasp only erupting over some of the more conventional and purely folksy, atmospheric bits (of which there are many). But the practice gets a pass here, because like I hinted, if you think in terms of that mythic, imaginary, endless season of frosts and moons and winter skies, it is effective in feeling like the vocalist is a pack of wolves panting into the frigid air, or wounded men crying out their last before frostbite claims their extremities or they bleed out into the snow. Add to this the very tribal brand of percussion which dominates a lot of the playtime, where traditional rock beats are dropped for a small set of steadily beaten percussion, and the airy, jangling and icy tones of a lot of the cleaner guitars that ring out above the dying campfires, and you've got an experience which is appreciably transcendental at how it slowly transplants you into that headspace before beating it into you permanently with the blasted, aggressive progressions during the longer tunes. It's not a very bass-heavy record, but it's there, and the other instrumentation here, like the swells of scintillating synth ambience, ancient percussive clamor, chants and cleaner strings all accumulate in pieces like "Black Glimmer" that wouldn't feel out of place on the more rustic half of the Bindrune Recordings roster. 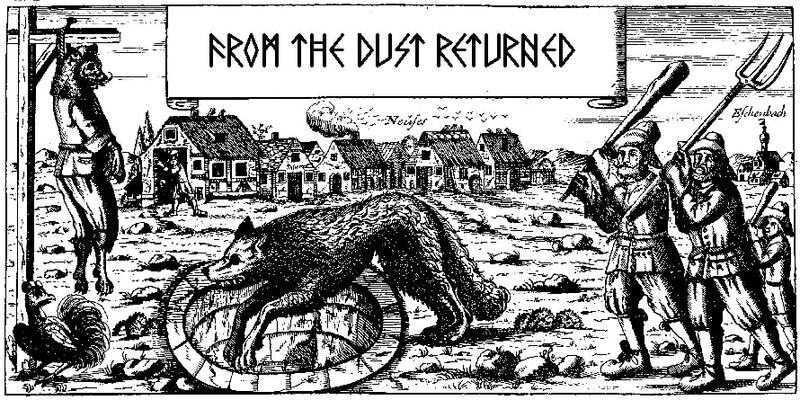 Tunes like "Silent World, Holy Awe", have an almost droning folk structure, with maybe a little Current 93 DNA in there only the less prominent, rougher vocals that you'll hear on the rest of the record. 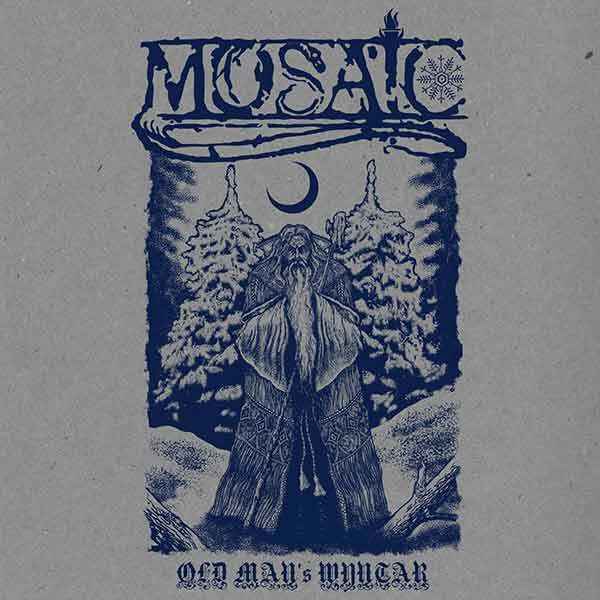 Even though the pure black metal itself seems dwarfed by the other goings on across Old Man's Wyntar, there is still a pretty fair variety of sounds and rhythms to keep the mind engaged, including the vocals which drift between solemnity and biting anger as the riffs transition from a tranquil tribalism to mid-paced, cold floes of chords that envelop you in glacier-space. If your idea of escapism involves building a campfire to ward off the deep evening chills in a snow-heavy, coniferous woodland, and you like taking long, solitary hikes when others around you would rather be cuddled up snug on their futons with the radiators near, then this is one hibernal trip worth taking, even if the band's titular spelling of the season seems like an intentional goof.